One of the most rewarding aspects of being able to treat individuals coping with permanent Bell’s palsy and facial paralysis is Dr. Azizzadeh’s ability to give them hope that hasn’t been felt in quite some time. In this blog, Dr. Azizzadeh profiles a recent patient who underwent the first of two surgeries at the Facial Paralysis Institute in Beverly Hills. 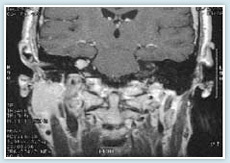 Dr. Azizzadeh recently treated a patient who had been suffering from facial paralysis as a result of an acoustic neuroma tumor for more than three decades. The patient, a 63 year old woman working as a Wal-Mart Greeter, had no idea that treatments existed that could help improve her facial symmetry and promote reanimation until a customer came up to her and encouraged her to research surgeons who have a specialized skill in treating facial paralysis conditions. When the woman returned home, she began to ‘google’ and came across Dr. Azizzadeh. After seeing amazing before and after photos of Mary Jo Buttafuocco, the patient knew this was the doctor that could help her. Even though the woman was located in New York, Dr. Azizzadeh set up a Skype consultation in which they were able to have a conversation via video chatting and the Internet. Dr. Azizzadeh was able to explain the different treatment options that may benefit her and also gather a more in depth understanding of her unique case. 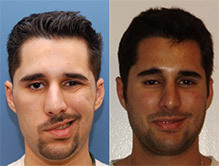 Dr. Azizzadeh ultimately recommended a two part procedure, the first known as a cross-facial nerve graft. 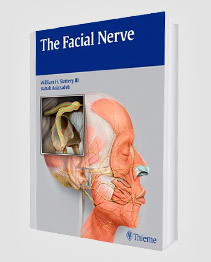 This procedure lays the groundwork for the second stage, but also takes advantage of the functioning facial nerve to help increase facial movement. The second step is known as the Gracilis Free Flap surgery, during which the Gracilis muscle will be harvested from the thigh and transplanted to the paralyzed side of the face with its nerve and artery to promote improved facial reanimation. The patient recently completed stage 1 of the surgery just a few months ago and will soon schedule her remaining procedure. 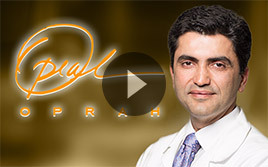 Dr. Azizzadeh and the patient are both extremely optimistic about the end results, with a drastic improvement in facial reanimation and the ability to smile being the end goal. 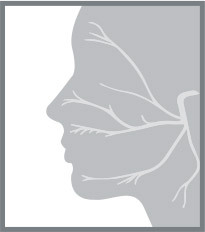 Often times and much like the patient described in this blog, individuals who are coping with facial paralysis have no idea that their condition can be overcome with various surgical procedures and non-invasive treatments. If you or someone you know has been diagnosed with facial paralysis or Bell’s palsy for whatever reason, we encourage you to contact the Facial Paralysis Institute today to schedule your initial consultation with expert surgeon Dr. Azizzadeh. Dr. Azizzadeh has an unparalleled knowledge in treatments relating to the facial nerve that lead to reanimation, and we are extremely confident in our abilities to provide patients with the ability to smile again. For more information about the types of facial paralysis surgeries that may be ideal for you or your loved one, please contact the Facial Paralysis Institute in Los Angeles today.